Kaitlyn & Matt's session at Tod's Point fell on one of those perfect summer low tide evenings, and it could not have been a more fun and laid back session. Before every shoot, I have clients fill out a questionnaire to help me get to know them a little better and understand why the photos are important to them. 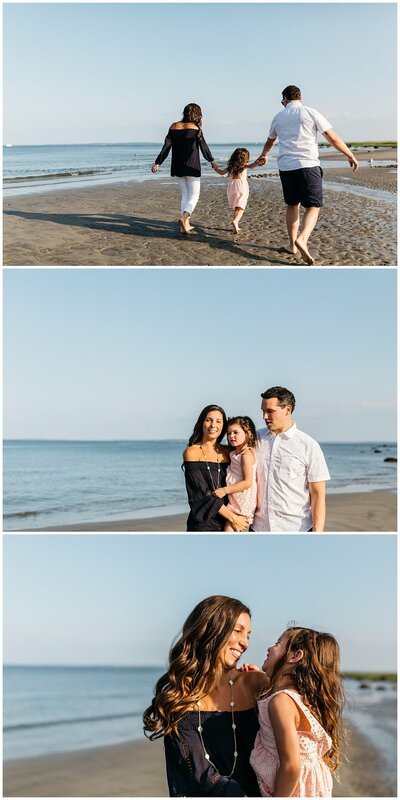 Kaitlyn told me that having these pictures done with her fiance and her daughter were important because they were their first official photos together as a family, and that her daughter will (of course) be a huge part of their wedding day so she wanted to include her in the engagement photos, too. I just loved that, and I love the idea that photography can hold such meaning in it. I often find it's a wonderful reminder to people of what they already know - that they have created a beautiful life, full of love and joy. So happy for this little family!